Cultural and commercial variances between the U.S. and Mexico can sometimes result in construction delays or expensive component substitutions. When strategic plans rely on heavily maintaining schedules, the following insights, which are often grouped under the head of tropicalization, should add confidence to the planning and executing of projects here in Mexico. SSOE Group, a global A/E/C firm with operations in Mexico, saw an opportunity to work with an architectural firm when building a project in Guanajuato, Mexico, where the design standard has not yet moved from 2D drawings to 3D modeling. This firm needed help with a 3D model to see the intersections of the trades and to help perform clash detection. SSOE understood that government clients also wanted to see the 3D representation before construction, so they could take a virtual walk inside the building to make changes before construction began. Unfortunately, if there is no 3D model to anticipate problems, they will certainly be found during the construction phase, which is much more expensive. The virtual walkthroughs help to detect potential clashes. For example, if a pipe is installed before a duct, the pipe will have to be relocated elsewhere, or the ductwork will have to be installed around the pipe. This difference puts Mexican contractors at a disadvantage because the U.S. design technology is well along in the process of shifting to 3D models. Instead of sending 200 sets of 2D drawings for the construction, the U.S. companies deliver a BIM 3D model, and the Mexican contractors are not prepared to interpret the model to obtain the data that they need. Mexican construction companies are beginning to realize the advantages of 3D and BIM modeling, offering training software to contractors and clients. The learning process will evolve and eventually transform the way Mexican contractors handle the planning and design process. An even more advanced design technology, 4D, allows the clients to view a project in sequential stages of development, starting with the site preparation, pouring of the foundation, erecting structural steel, and moving through the installment of utilities, walls, and ceilings. This technology allows users to see virtual construction in real time, from ground to build in digital animation, so the builder can see how construction will look at a certain point in the schedule and compare the model with real construction status. 4D can be used for international firms not based in Mexico that need to find an easier way to evaluate, schedule, and construct in a virtual environment. Much of building construction here in Mexico remains un-mechanized. Thus, for example, even though power lifters are available for elevated work near the roof, workers may feel more comfortable on a scaffold because they are accustomed to the scaffold and trust it. Some workers understand and accept the options provided for their safety. Others may not understand the logic of different equipment but will follow the boss’s orders even if they disagree. Another example is power tools, which are less available in Mexico than at other construction sites around the world. There may not be a familiarity with the tools that international companies use. A tool such as a cutting disk (cierra cinta) could cause confusion. Without a special-purpose glossary of technical terms, material names, and tool images, the foreman may have to resort to searching the Internet to learn the appropriate words when converting plans for use here in Mexico. A similar example pertains to a paint booth that needed one hundred 2-inch holes bored in the wall. Because a conventional drill would have taken a long time to complete these holes, a representative from the U.S. suggested a knock-out punch tool, unknown to the local workers, which makes the holes much more quickly. However, even with training, the worker using the punch tool damaged it on his first attempt because he was not accustomed to it. The thickness of pipe appears on a schedule in the U.S., whereas in Mexico the document is called a cédula. The translation of such terms is not always literal, so experience is necessary to rephrase them correctly. Such misunderstandings can occur even among native speakers of Spanish who originate from different countries. A Spanish company listed a component called a manguera as part of an installation package. This word meant “multi-conductor cable” in Castilian Spanish, but it meant “hose” in Mexican Spanish. Naturally, this confusion resulted in a price difference in the quote that was outrageous. One practical solution to such language barriers is to display images or examples on an iPad at the site to disambiguate confusing terms. Construction firms typically employ bilingual employees at the building site who have experience in construction, in English, and who have dealt with U.S. companies or other international companies doing business in Mexico. Even though their conversational English may not be idiomatic, their command of technical terminology in both languages makes them indispensable for timely and precise communication. It is common practice for the builder to overcompensate when dimensions specified in a design are not economically available in the local market. Thus, if a European specification calls for wide flange beams HE 160 A (152mm), the Mexican design leader will increase the dimension to IPS 6”, which is the standard in Mexico. Rectangular cross-sections, standard in the U.S., must be converted to square cross sections in Mexico in some cases. US or European designs may specify 5” diameter pipes, but because pipes in Mexico have diameters of either 4” or 6”, the spec must be increased to 6” pipes. Creating a materials list for the Mexican market and talking with local suppliers can help minimize the conversion issues in the design to construction process. When a design from a U.S. client is put out for bid to Mexican contractors, the usual procedure is for the contractor to submit its proposal to adapt or convert parts of the design for cost-effective execution at the Mexican site. The client, on inspecting the submittal, can issue three possible replies: (1) the adaptation or conversion is satisfactory as submitted; (2) the adaptation is satisfactory on condition (called a note); and (3) the adaptation is too far out of scope to be satisfactory. As an example of (2), one contractor asked SSOE to approve a cable tray trajectory on the top of the roof trusses. The SSOE approval came back with a note requiring that no cable tray may pass under a water system. This required the contractor to place the cable tray above any water system in the path of the cable. The opportunities and challenges for design consultants living and operating in Mexico run the gamut: from adapting to holiday scheduling to the introduction of 3D modeling; from the tradeoffs of manual v. mechanized technology to issues of terminology and measurements; and from conversion of specification standards to the approval process for design submittals. These pose significant opportunities for business growth but only to leaders who can tropicalize their plans and strategies to thrive in the diverse culture of Mexican construction projects. Ing. Erick Kuri is the Mexico Business Leader at SSOE Group (www.ssoe.com), a global engineering, procurement, and construction management firm. 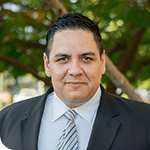 With nearly 15 years of in-country experience as a manager and engineer, Erick has extensive project knowledge in the automotive industry with clients such as Ford, GM, Chrysler, Toyota, and Nissan in dozens of cities throughout the Mexican industrial corridor. He can be reached at 52.477.391.0420 or by email at erick.kuri@ssoe.com.